For more information please contact the host at 408-286-2151. Fred Biletnikoff is a former NFL wide receiver who played for the Oakland Raiders from 1965–1978 and the Montreal Alouettes in 1980. After his career as a player Biletnikoff served as wide receiver coach for the Los Angeles / Oakland Raiders from 1989–2006. Biletnikoff is a Super Bowl champion plus Super Bowl MVP for Super Bowl XI. Biletnikoff also is a four-time Pro Bowl selection for 1970, 1971, 1973 and 1974 plus First-team All-Pro for 1972. 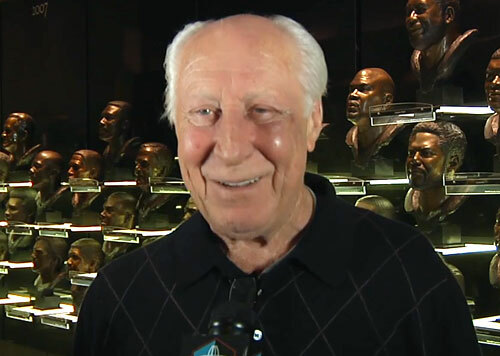 Fred Biletnikoff was inducted into the Pro Football Hall of Fame in 1988 plus the College Football Hall of Fame in 1991. Sports Speakers 360 is a booking agent for pro athletes. If you would like to book Fred Biletnikoff for a speaking engagement, appearance or endorsement, contact a Fred Biletnikoff booking agent for fees at 1.855.303.5450.